The podcast is back, son! Episode 19 was recorded live (we assume) (and must be out there), but until we can track it down, we’re rolling ahead with Big Two-Zero!! Whoa, hey. Let's slow it down here. I don't want to comment that we can't take back. I had a rough enough night thanks to KC; I don't need you pulling a Steven Moffat, okay? Mikey the narcoleptic stalker. "I don't think I'm out." Ha! Here's a tip, go into Kim's closet, put on her clothes, then go to sleep in her kitchen. Can't lose. I can't believe the senior Mr. & Mrs. Straub didn't make guest appearances. Think of the stories they could tell! Missed opportunity. my mom always gets hurt when i tell jokes like they're mad at me or disappointed in me. my parents have always been VERY supportive of what i've wanted to do. I was going for those embarrassing stories from childhood. (Your mom won the Supportive Parent Award when she stuck notes in some orders a few years back.) But, c'mon, didn't you do some sort of adult comic at one time? That's a challenging thing for parents to brag about. Let me talk to them. I'll preinterview them for you! This is podcast gold. Mikey, you really can't be sure where you stand with Kim Cattrall until she changes the text message alert sound on your phone. You know this. "The Woman", huh? Is this KIM??? I KNEW IT! You can't fool me that easily, KC. Looks like we're going to have to start referring to Mikey as Kimcatnip–she just can't stay away. Thanks to this podcast, I've found my true calling. 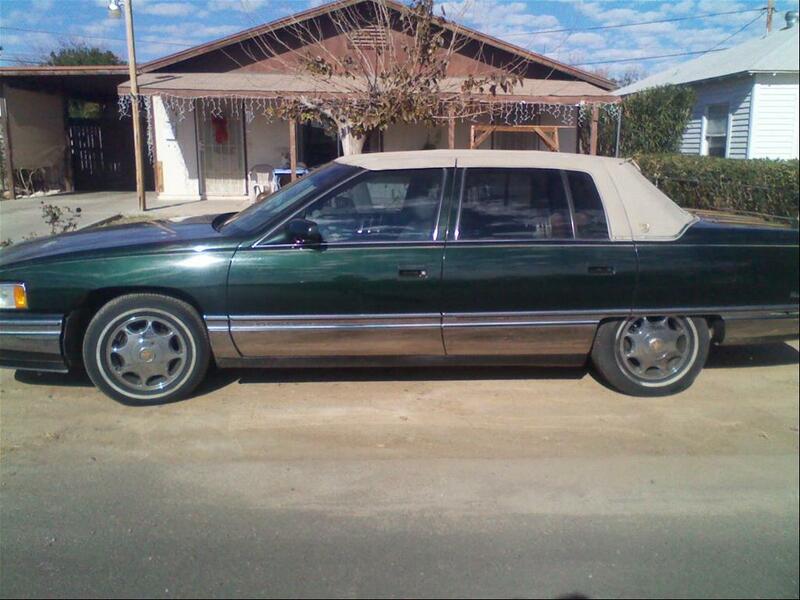 Though I will probably will only be able to afford one 1994 Cadillac deville on my tgif salary, and its calypso green. hold out for hunter green, dude. "calypso" is a "calyps-no"
Wow, that does look like a comfy car to nap in. I love your commentary about Steven Moffat, because it sounds like you guys just decided to make fun of him, without really knowing much about him or Doctor Who and that in turn just makes for hilarious results. It's like getting assigned a book report on a book you didn't read and instead you're just making it up as you go along. Actually, there's some really funny commentary in between the recording that was funny. I _adore_ Moffat and have watched everything and worship at the altar of the Moff-man. Conversely, Kris has seen a few episodes of Sherlock and might be warming up to the idea that he's actually a genius! Solid nerd gold. Some of the most incredible long-arching storylines, complex character development and innovate plotlines I've ever seen, which made for incredibly engaging entertainment, moments of which are still very clear in my memory now. To be fair, there's only been 9 post-Pond stories. My only issue with Moffat has been his not really following through with those long-arching storylines. One of the last lines of Series 5 (which was fantastic) was: "The *spoiler* *spoilered* for a reason. Why here and why now?" There's never really been an answer to that question. If the 50th Anniversary or the Christmas Special does manage to tie up all of Moffat's loose ends, I'll praise him until the end of time (and space). If not, I'll be a bit disappointed. That's very true, and in fairness my post-Pond whinging is mainly due to my still feeling almost entirely disconnected from Clara while still remembering how engaged I was in the progression of the previous companions. It feels far more 'monster-of-the-week' driven. But in the end, any small qualms I may have are completely and entirely overshadowed by the coming greatness of Peter Capaldi oh hell yes yes yes. "…an animated jpeg…" C'mon, tell us what you really think Moffat. Is it a gif or a gif?